Christian Dior perfumes are created by one of the most widely respected fashion design houses in Paris. You can select from classic and modern Christian Dior perfumes and have them shipped right to you. Christian Dior offers fragrances for both men and women in several different well-known product lines. 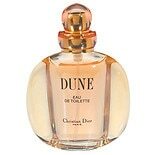 Christian Dior offers a wide variety of eau de toilette for women. Classic Christian Dior perfumes include Miss Dior, introduced in 1947 and based on timelessly feminine floral scents such as rose and gardenia. Diorissimo is another classic favorite among Christian Dior perfumes, and its floral base includes jasmine and lily of the valley. For those who prefer perfumes of a more modern composition, Hypnotic Poison blends the floral tones of jasmine with wood, amber and almond for a special, romantic fragrance. Escale a Portofino brings the scents of an Italian summer to you, with orange blossom, bergamot and Italian citron among its refreshingly scented ingredients. 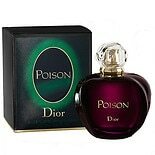 Addict and Forever and Ever are also more recent Christian Dior perfumes, and Miss Dior Cherie is an updated version of classic Miss Dior. Christian Dior perfumes include a selection of cologne that ranges from the classic citrus Eau Sauvage fragrance that men have enjoyed for years to the more recent, yet classically formulated, Christian Dior Homme eau de toilette. The famous Fahrenheit men's fragrance from Christian Dior perfumes remains a favorite, and you can order a new updated version of it called Fahrenheit Absolute for yourself or the man you love. Fahrenheit Absolute is a truly original fragrance that includes incense, violet and myrrh among its ingredients.